"Superb tuning and control throughout... this was an outstanding concert, and such a privilege to be there." "Singing that would do justice to any London stage." 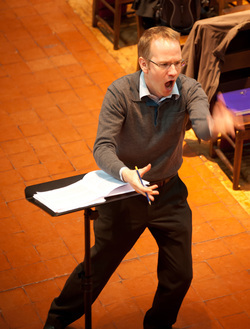 "The choir responded like a finely tuned instrument under the gifted direction of Duncan Aspden. They watched him like the clichéd hawks. The tempo changes were breathtaking and the articulations clear through some tricky changes; we had the words in the programme, but didn’t need them." "This was a memorable evening, both for its fearless exposure of little-known works and for the quality of the singing, which ensured that every piece was a totally moving experience." "The most exquisite musical experience that I have had."